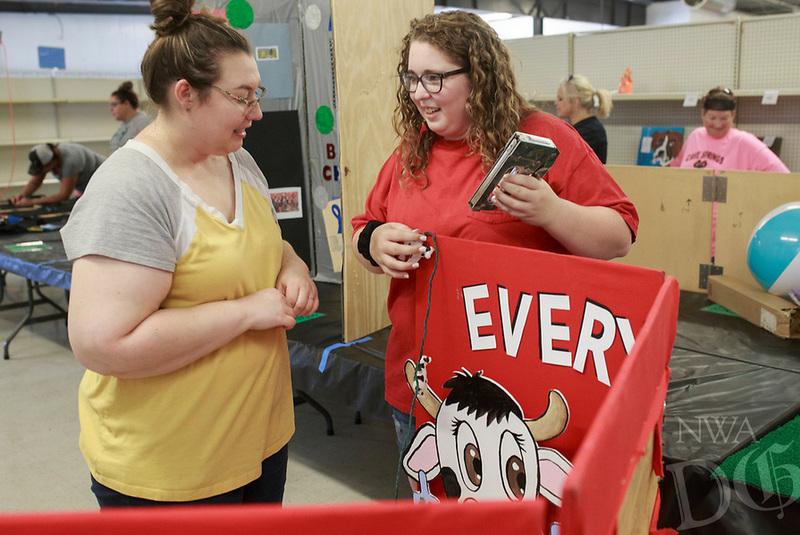 NWA Democrat-Gazette/CHARLIE KAIJO Lynlee Franks of Siloam Springs and Julie Griffin of Siloam Springs (from left) set up their 4-H educational presentation board, Saturday, August 4, 2018 at the Benton County Fairgrounds in Bentonville. They are educating the public of all the different ways a cow can be used aside from meat. Vendors prepared their booths ahead of the Benton County Fair which is set to begin August 7.